Girly Angel tattoo designs are cute and sweet and go a long way in making one feel in touch with the desired feeling they derive from the tattoo. The tattoo can make one feel loved (especially if the tattoo is inspired by cupid designs), reflective and even pure. Nothing quite compliments the gracefulness of a woman than a trendy angelic tattoo. 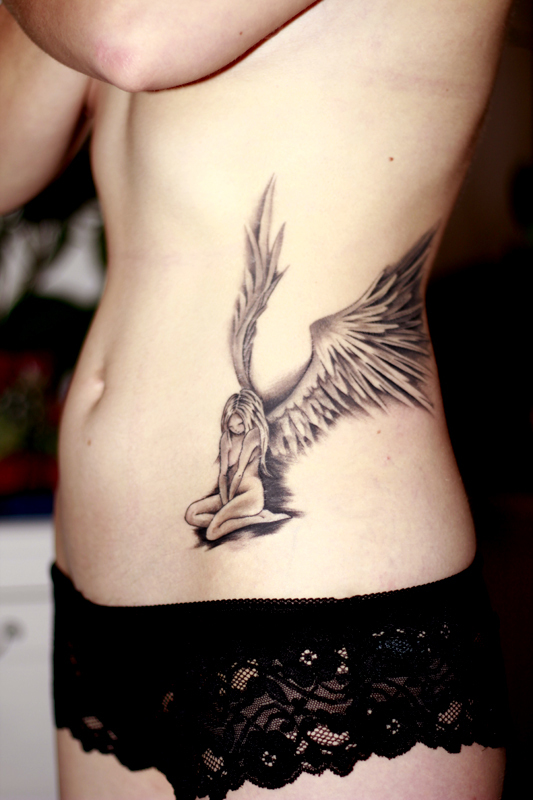 A small back tattoo of the ‘fallen angel’ gives one a great choice of showing off or covering it. The knowledge that you can only reveal just the elongated wings or the entire angel tattoo makes one very comfortable regardless of the occasion.